JE VEUX LIRE BANDE DESSINEE. I’ve been aware, you may have too, that in France comics have a bigger place in culture than in Britain. I’ve also seen that there are extremely attractive books which are never translated. 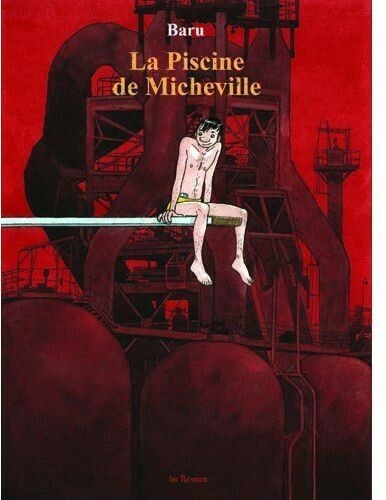 I've just acquired three French comics, or bande dessinee. 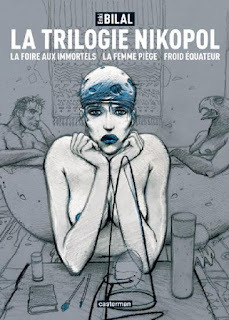 They are "La Trilogie Nikopol" by Enki Bilal. I chose this as it was recommended to me and I saw some prints from it at a museum. I wrote about this here. 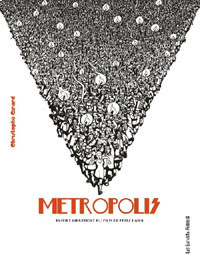 Next is "Metropolis" by Christophe Girard. I chose this as Metropolis is one of my favourite movies. Then I have "La Piscine de Micheville" by Baru. I chose this as I liked this artist’s style. My plan is to sit with a French/English dictionary and a grammar book and painfully slowly pick my way through these books learning as I go. I started tonight on Bilal and am enjoying the torturous process already. Bonne lecture!